We are excited to announce the launch of the SHELA collection. The 2012 collection from Lukagwa African Art and Jewelers promises to be a most exciting and engaging affair. The launch will be held at an event dubbed “AN ARTIST AFFAIR” on July 12-22nd at the village market, Nairobi. The SHELA COLLECTION derives its name from the Shela Island in Lamu, a peaceful tropical island whose history is as mysterious and fascinating as the winding streets of its medieval stone town. The Shela collection is an intricate interwoven wire play which mixes West African recycled glass beads, Khatsri glass beads from the chevron glass beads of Venice, bone beads, horn beads Kitengela glass beads, Ethiopian brass beads and shells handpicked from the shores of Shela. This collection of accessories is striking and inimitable. The collection consists of various ornamental accessories including hair clips, bag charms, anklets, necklaces, earrings, rings and bracelets which are all inspired by SHELA, with that definitive African style with a contemporary touch. A true Lukagwa brand. The jewelry in the collection captures the striking colors of the waters of the sea, the captivating sights of the sunset dipping into the sea and magnificent sea life. The collection of jewelry combines colors inspired from the marine life. The choice of color and design of the elegant pieces of jewelry tell the silent stories of the resplendent sea shores of Shela. Your presence at the village market over the July period as we launch our collection will be highly appreciated. 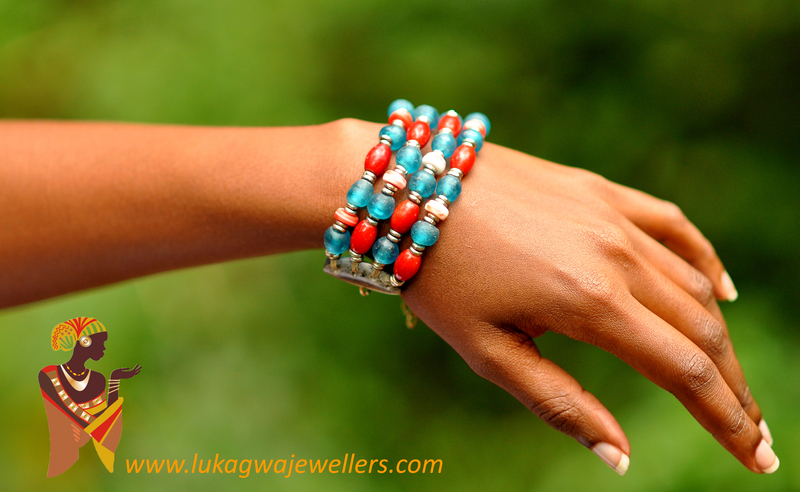 The collection will also be accessible from our website www.lukagwajewellers.com. So make sure you are the first to take a peek and make an order for your favorite piece.